Farm Girl Pink....: ~ Mid Century Years ~ When clothes were colorful and fun! 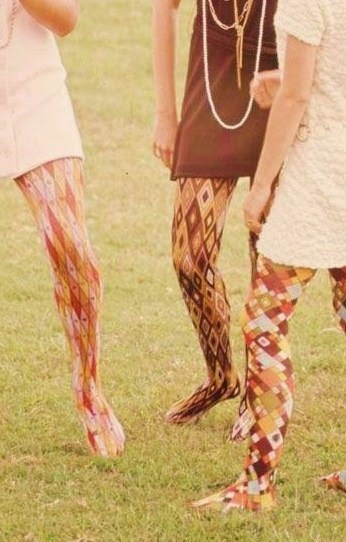 ~ Mid Century Years ~ When clothes were colorful and fun! I love these tights! Not loving the shoes... but I adore tights/leggings. I loved when they had came back around in the 90's. I have always hated pantyhose. But I love me some tights. I wore all kinds of black tights for years. During the Winter months. I spent a lot time having to hike around in the great out doors for work. So they helped keep me from freezing. Plus they were so hard to make a runner in them. Or put my nail through them. 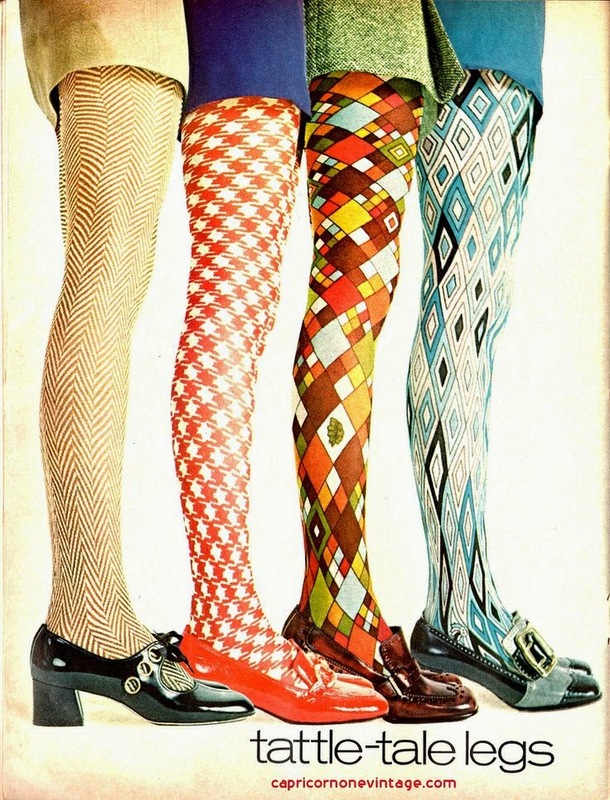 I did notice some pattern looking hose making a come back. But not legit tights. Look at those tights! They look like the ones from the Tattle Tale advertisement! So not only were the Mid Century years bring great colors to your home... they also brought out fun colors in clothes too!